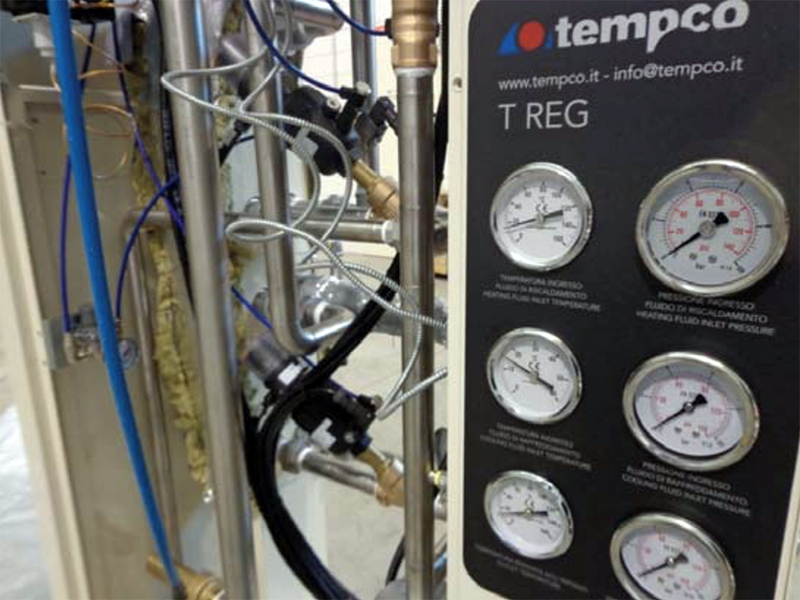 The commissioning phase of a TREG Thermoregulating units employing diathermic oil as heat transfer fluid is the most delicate and critical step in the whole plant’s lifespan, as the most serious issues can happen here. 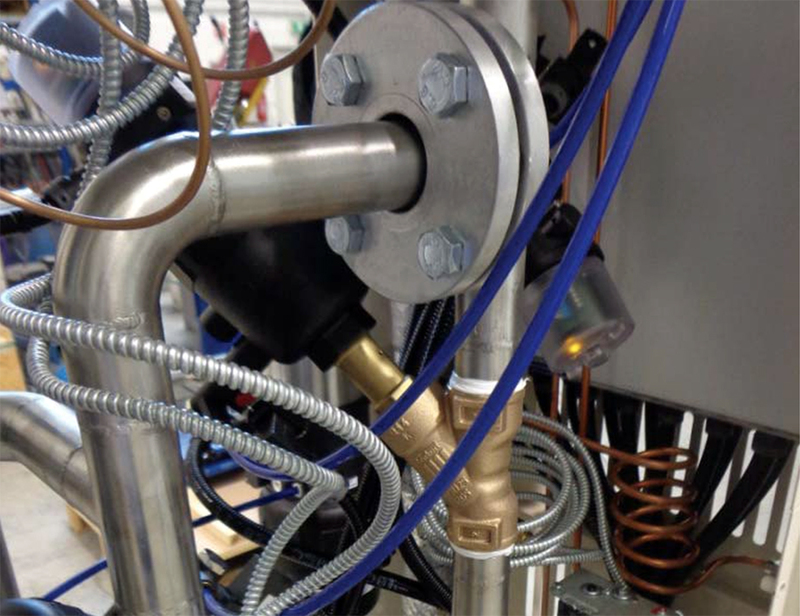 That’s why is fundamental to carefully follow the right steps for the correct commissioning of a thermoregulating unit, avoiding problems such as cavitation and leaks. First step: checking of all the electrical and hydraulics connections, and the right filling of the plant. With the machine being cold, let’s turn on the oil recirculating pump, in order to verify the correct inlet pressure, that must be constant. Working pressure and power consumption, with cold machine, will naturally be higher compared to values at standard use. Second step: very slowly warm up the oil, approx. at +30°C every hour. This is a crucial process in order to completely eliminate the presence of air and moisture in the hydraulic circuit, through the expansion tank. The process will avoid the creation of vapor pads, foaming and possible oil overflow due to excess of filling. These events happen violently and out of control, so that’s why is very important to slowly increase the oil temperature. Third step: once reached the temperature of approx. 100-110° C, further slow down the temperature increase, allowing the complete draining of water vapor. Relief valves must in some cases be opened, especially where vapor bags can develop, in particular if cavitation or sudden inlet pressure variations occur. Finally, once the circuit has been turned off and the system has returned to the initial temperature, verify that all the seals and fastenings are correctly performing, fixing possible leaks. 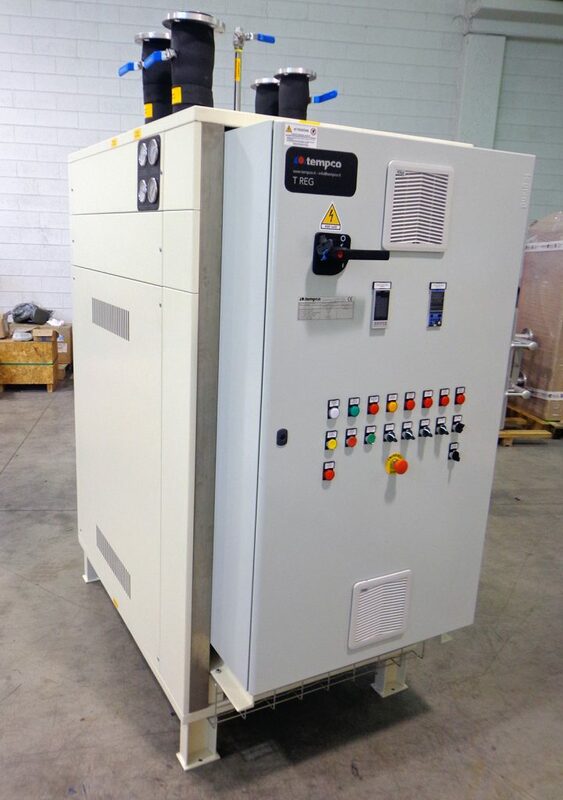 The thermoregulating unit is finally ready to operate.